After wearing Amouage Honour Woman consistently and often for several weeks, I'm all of a sudden thinking about my mom and her Chloe (original, or what is now referred as 'vintage'). The perfumes are very different except for the white floral heart that combines jasmine and tuberose. It's more about the way mom wears her Chloe and the image she's always projected through her magnificent sillage. Amouage Honour Woman is a beautiful and surprisingly gossamer-like interpretation of the ultimate feminine white florals. There's nothing subtle about Chloe, the loudmouth young cousin of Fracas, except for my mom's skin chemistry and the elegance and precision she lends to it. I get the same pretty idea from Amouage Honour Woman. It opens up green and floral and fruity; feminine, happy and quite modern. The husband's impression was short: "fruit". It took me a while to zero in on a layer of fruit jam under a green canopy. Than when I read the official notes that said rhubarb it was a "why, of course" moment. Perfumers Alexandra Carlin and Violaine Collas under the direction of Christopher Chong created what is probably the best rhubarb note and impression available (you wouldn't expect anything less of Amouage, after all). It has the charm to capture the heart of the grumpiest anti fruity-floral sniffers, probably because due to the absence of extra sweeteners, artificial or others. The development into white flower territory is quiet and smooth. This, to me, is my mother, wafting jasmine, tuberose and a little green gardenia as she goes through her day, never leaving the house without wearing makeup and perfume. This kind of scent has always surrounded my mom as she ran errands, baked for a school event, gave the stink-eye to an obnoxious neighbor, or nowadays, makes Play-Doh shapes with my niece. It's a big part of my idea of femininity and beauty, even if I chose to do things my own way. The dry-down of Amouage Honour Woman is whisper-light and somewhat reserved. A sheer incense and an ambery almost-leather that only manifests itself if you lean close. This subdued elegance is soft, beautiful and full of emotions if you pay close enough attention. I find the sillage to be moderate even with generous spraying, as is the longevity. Amouage Honour Woman projects more when the temperatures are significantly higher. It appeared more robust during the Indian summer days we had last month, and has been shrinking quite a bit in the chilly weather. While the bottom line is that this beauty is not exactly me, it is worth checking out if you have any interest in smelling a classy and classic white floral with a modern twist. Notes: coriander, pepper, rhubarb, carnation, jasmine, gardenia, tuberose, lily-of-the-valley, vetiver, opoponax, amber, incense and leather. Please read these great reviews by Candy Perfume Boy and Olfactoria. Amouage Honour Woman ($275, 100ml) is available from MiN NY, Aedes, Luckyscent and other authorized retailers. The samples for this review were provided by MiN NY. 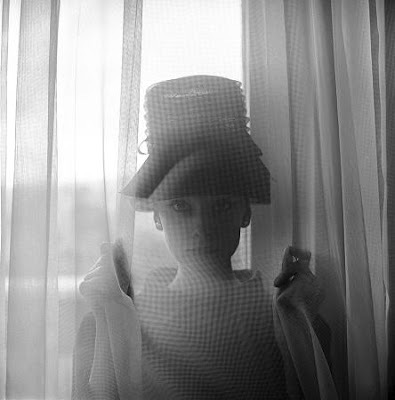 Photo: Audrey Hepburn by Cecil Beaton, 1960. Oh em gee, how I want this. Sounds stunning. Fabulous review! I unexpectedly came across this in a little town in Switzerland at the weekend, tested it on skin and was blown away. I managed to blag two samples, one of which I wore on a "big night out" that very evening, throwing away all my previous SOTE plans in a heartbeat. Your eloquent revew captures the tender beauty of this scent. I am smitten. Amazing review as always Gaia, Amouage creates very beautifull stuff, i'm in love with Epic and Silver! Oh, oh, did you hear that Tubéreuse Criminelle will be avaliable worldwide the next year? I can't wait!! I have not tried Honor Woman (adore and own Dia), the drydown on this sounds lovely and sophisticated (I adore vetiver and opoponox). I must give this a test spritz.